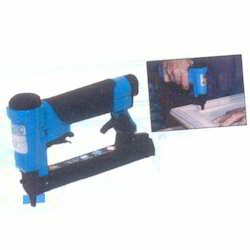 We manufacture and supply a wide range of Pinners which is used to make small holes. Our range of these pinners is high performing and is available at industry leading prices. Our years of experience have made us able to come out with a wide range of pneumatic pinners. These are light weight low noise making and high Durable Pneumatic Pinner.Our products are durable and reliable in all contexts. Our product finds its application in glazing bead, door and window frames, small trim and picture frames. 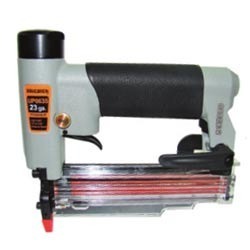 Length: 12 - 30 mm / 1/2 - 1 3/16"
Shank Diameter: 0.64 mm / .025"
Being one of the reckoned enterprises in the market, we are offering an optimal class gamut of Pneumatic Micro Pinner. Focused on technological up-gradation, dynamism and innovation, we are moving ahead by maintaining timeliness in presenting a top quality of Jit Micro Pinner.